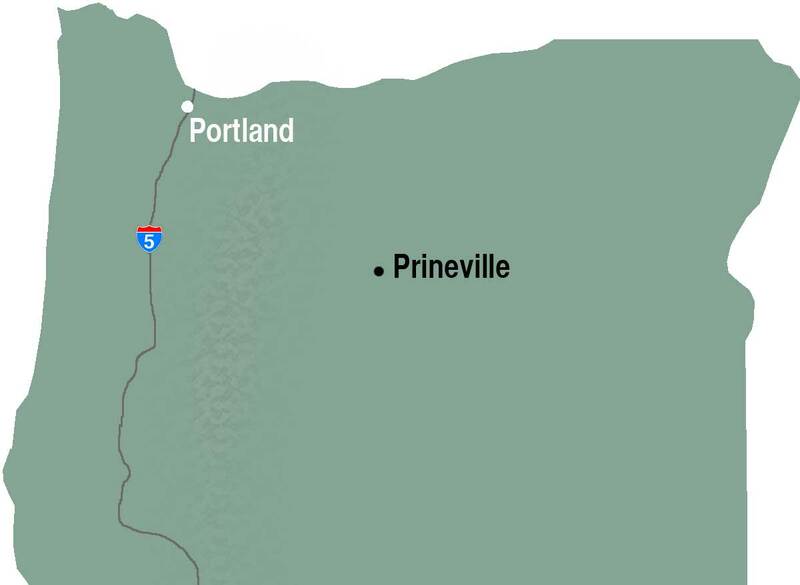 PRINEVILLE, Ore. – On the eastern edge of Prineville is a 76-acre piece of land where the Ochoco Lumber Co.’s sawmill once processed millions of board-feet of lumber. The site is now vacant, save for a lonely fire hydrant, sagebrush and desert grasses. Zoned for mixed use and industrial, it’s considered by some the perfect spot to build high-density housing – even a 100-unit apartment building. Smith is right. Prineville, a city of 9,928, is not a place where one would expect to see large apartment complexes. But until a few years ago, people would not have expected Prineville to have one of the country’s highest rent increases either. Between 2011 and 2016, according to a report released this year by Lending Tree, the average rent in Prineville grew by 45.7 percent – the second-highest increase in the country. Bend had the highest, with rents increasing by 54 percent. The steep increases in the price of rental and for-sale housing, combined with the construction of the Apple and Facebook data centers and the jobs that have moved into the area, precipitated a housing crisis, which city leaders think has largely ended, given unprecedented growth in housing construction. In the past few years, the permits issued for housing construction have nearly doubled: 95 permits were issued last year, compared with 52 in 2016 and 27 in 2015. In addition to dozens of new single-family homes, duplexes and fourplexes, the city now has 12 units of hostel-style housing at the Main Street Bunkhouse, in Prineville’s downtown district. A new RV park with 30 spaces opened last year. Ochoco School Crossing, 29-unit apartment complex, is currently being built by Housing Works, Central Oregon’s public housing authority, and is expected to open this fall. Housing Works has also received a permit to build a 30-unit manufactured home park. A 14-unit apartment complex is also under construction and expected to open later this year. The vacancy rate – the number of rental units that are vacant and available to rent at any one time – is still thought to be less than 1 percent. But Smith says Prineville is no longer in a housing crisis. “That said, there are still people suffering from it,” Smith said, in terms of finding housing that is affordable and available when people need it. Smith said he expects housing permits issued this year to be similar to the number of permits issued in 2017. “And then, I imagine, we’re going to have caught up (to demand),” Smith said. The recession hit Prineville hard. When the housing bubble burst, construction halted. Workers left the area. Many streets had foreclosed and vacant homes. In 2014, Woodgrain Millwork laid off 200 mill workers after the roof of its factory collapsed. In 2015, the mill company down-sized its Prineville factory, laying off 55 more workers. Nearly 1,000 people moved away. Unemployment rate percentage was in the low 20s. “It was devastating,” said Steve Forrester, Prineville’s city manager and a lifelong resident. At the same time, high tech came to Prineville. Crook County’s only incorporated city has historically been known as a former timber town and sheep ranching community, but it is now home to three large Facebook data centers and three “data halls” built by Apple. Facebook started construction in 2013, spending more than $1 billion on the centers, which have taken up 1.2 million square feet of space off of Highway 126 on the hill overlooking Prineville. Hundreds of construction workers and contractors moved to the area, and they all needed a place to live. All the spaces in Prineville’s three RV parks filled and stayed that way. People camped in Bureau of Land Management land and lived in storage units. Smith said he routinely received calls from people working in the oil fields of North Dakota, offering surplus shipping containers as housing. “We literally had people wanting to come in and just drop (shipping) containers on bare ground and rent them out,” he said. Rent quickly began increasing. During the recession, someone could rent a small house in Prineville for $500 to $700 a month. Now, the same homes or apartments easily rent for $1,000 a month. At the same time, the data center’s construction workers put pressure on Prineville’s housing supply, escalating housing costs and low vacancy in neighboring communities, such as Bend and Redmond. This added to the pressure, with people moving to Prineville from other parts of Central Oregon. “We were seeing that constantly,” Smith said. While Smith, Forrester and others point to the data centers as the main reason Prineville experienced a housing crisis, the centers, which are playing the same role as the sawmills in the years after World War II, are also responsible for a cultural and civic renaissance. “We’ve rebounded,” Forrester said of the housing crisis and local economic boom. Forrester said many of the mill workers who lost their jobs when Woodgrain Millwork closed now work at the data centers or in the many support industries that have sprouted up: as electricians, in HVAC installation and maintenance, security guards, landscapers and so forth. In recent years, Prineville has built a new hospital, a new elementary school and new parks. Three breweries, as well as other new businesses, have opened in downtown. Without that economic boom, Smith and others doubt that the diversity of housing types currently being built in Prineville would exist. “Suddenly, it’s worth it” for developers to build that kind of housing, Smith said. The rental market is the biggest influence on Prineville’s housing supply and what is being built. The higher rents “makes it more feasible for that extra development to come in,” Smith said. Low-income residents of Prineville continue to be the population of people most affected by the tight housing market. Without Housing Works to develop projects like Ochoco School Crossing or the manufactured-home park, Smith thinks there would be little, if any, construction of low-income housing since developers have few incentives to build such housing. Forrester, Prineville’s city manager, said that if the city “let natural economic sources work,” more housing will be built and increase the inventory in Prineville. At the same time, private developers are less willing to build a variety of housing stock – such as a manufactured-home park or an apartment complex. “I get a lot of people talking about it, but they don’t actually do it,” Smith said. Larger developers, such as Polish Homes, which has built subdivisions throughout Central Oregon, build houses with identical floor plans, square footage and amenities. Naturally, Forrester said, a developer would build more of those homes in Bend, where the median home values are much higher. “It’s a two-edge sword,” he said. “We don’t want to have an 1,800-square-foot house in Prineville cost $400,000,” Forrester said. Forrester hedged slightly when asked if the city would implement new policies to incentivize smaller construction or different housing layouts that would better suit Prineville. In general, the city is unwilling to regulate the housing market in a way that could incentivize affordable-housing construction. Smith said he does not foresee city government playing a role in housing construction any greater than issuing permits, including building city-owned housing or even contributing money to a housing project, as the city of Sisters did when it contributed $300,000 to the development of the Village Meadow Apartments, a 48-unit apartment complex under construction. He also said the city will not waive system development charges, or SDCs, the city fees that pay for sewer, water, roads and other infrastructure. Other cities, such as Bend, have decided to waive their SDC charges, hoping it will incentivize more affordable-housing construction. “We waive those, we’re just going to end up with the problem … (that) we won’t have the infrastructure to provide for the housing stock at some point,” he said. Smith is skeptical of alternative types of housing, such as tiny homes or accessible dwelling units. “It’s OK if you want to live in a small home, but if you’re building them to provide housing for people who maybe don’t want to live there … it’s not going to work,” he said. Of any type of housing, he asks, “Is it going to make a small dent or a big dent” in the availability of housing in Prineville? That’s why he is hopeful that vacant lots like the former Ochoco Lumber Co. site will be developed into multifamily housing. There are other properties in town, he said, that are “quite large” and could be used for larger-scale housing development. But to build such housing represents a greater risk to developers. He gets a similar answer for why, over and over again – a sign that the city’s identity is still in the midst of change.